Engaging Dementia is hosting this masterclass series on behalf of the National Dementia Office. The masterclasses are funded by Dormant Accounts via the Department of Health and the National Dementia Office. There is no attendance fee for the Cognitive Rehabilitation (CR) Masterclasses but places are limited. Presentation: The masterclasses will be delivered by Mary McGrath, MPhil Dip COT MAOTI RCOT, Advanced Clinical Specialist Occupational Therapist, Memory Clinic Belfast Health & Social Care Trust. Mary has significant clinical, academic and teaching experience. She also developed a new evidence-based Memory Rehabilitation Service, which has been implemented throughout Northern Ireland and Scotland. Times: Registration at 9:30am, with finish time of 5pm. The Masterclass is aimed at senior professionals working in the area of dementia. This one day masterclass will enable delegates to gain a working knowledge of the neuropsychology of normal memory, attention and the principles and delivery of cognitive rehabilitation including the home-based Memory Rehabilitation Programme. Delegates will consolidate knowledge of the neuropathology of the common forms of dementia and will learn how to assess for insight. Please note that your contact details will only be used for the purposes of your application/participation in this masterclass. Would you like to be informed of any future relevant events or related items by the National Dementia Office? If you tick yes, you will be added to the National Dementia Office’s mailing list. Would you like to be informed of future relevant training or community events that are run by Engaging Dementia? 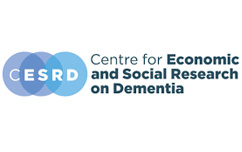 Would you like to be added to Engaging Dementia’s enewsletter list? If you have opted to receive information on future events from either the National Dementia Office or Engaging Dementia, you may unsubscribe at any time.